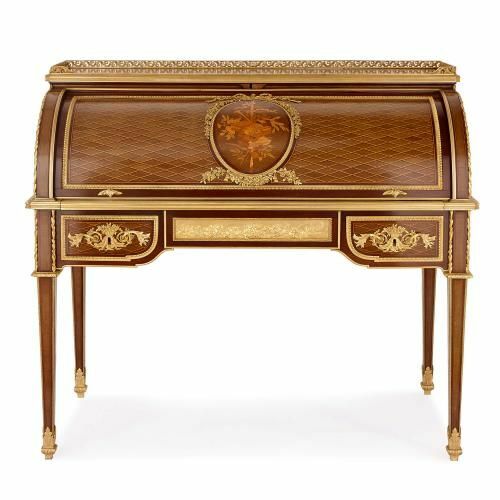 This fine 19th Century desk was made after the model crafted by Jean Henri Riesener for Queen Marie Antoinette's boudoir at the Tuileries Palace. 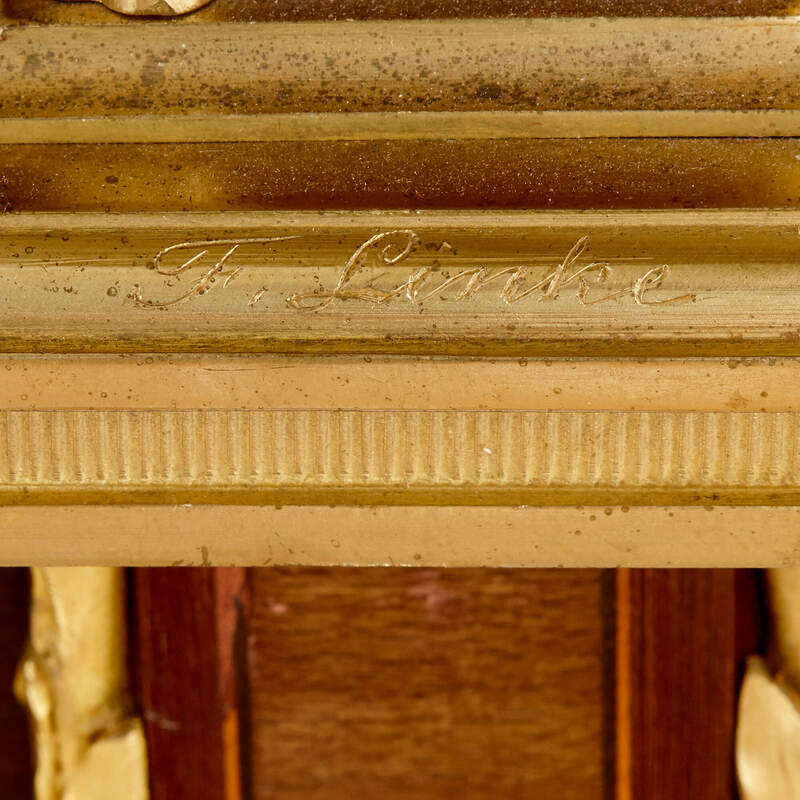 Francois Linke was perhaps the most famous and best-celebrated furniture maker of the French Belle Epoque period, widely known for his ability to recreate important pieces of furniture in the finest materials and with the greatest care and attention to their design. 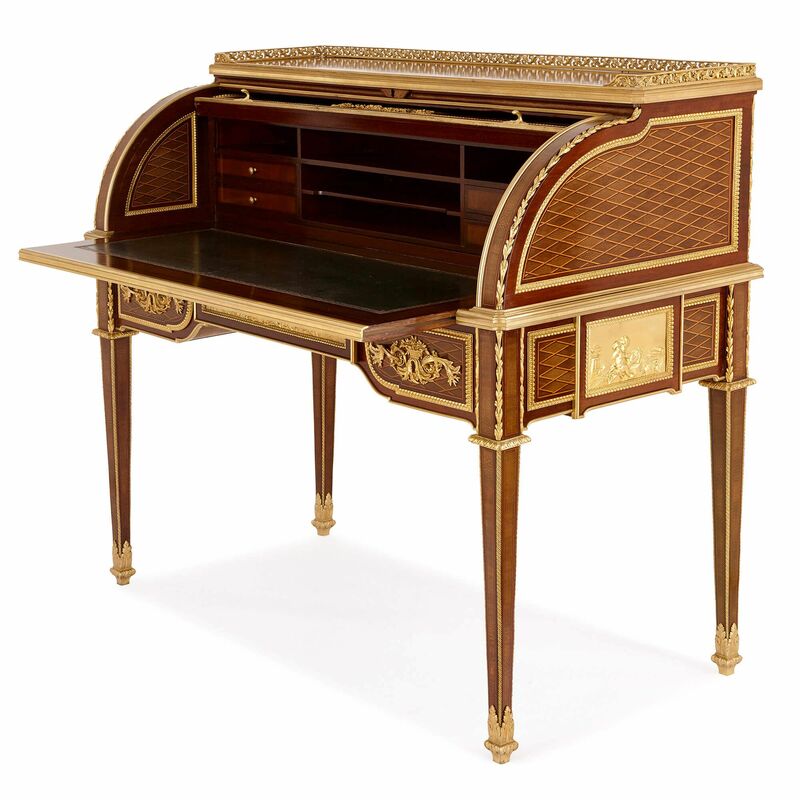 The original desk of 1784 by Jean Henri Riesener, after which this one was made, can now be found in the collection of the Louvre in Paris. 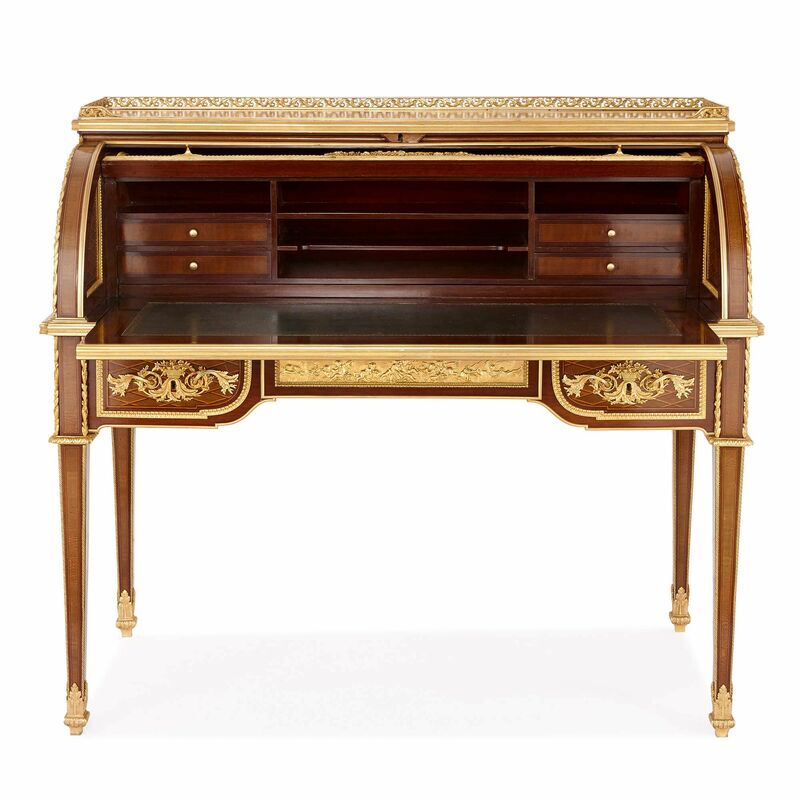 The desk, or bureau, is crafted predominantly in mahogany and exhibits fine marquetry and parquetry detailing in several rich, exotic woods including fruitwood, amaranth, sycamore and tulipwood. 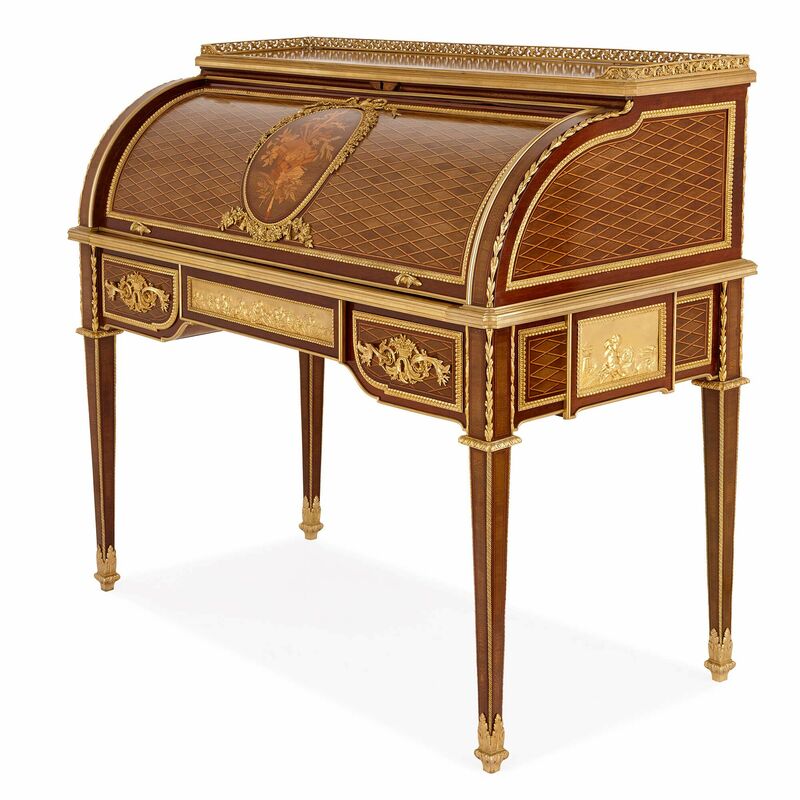 With an elegant roll-top design, the desk is surmounted by a pierced ormolu gallery enclosing a flat surface decorated with a diamond parquetry pattern. 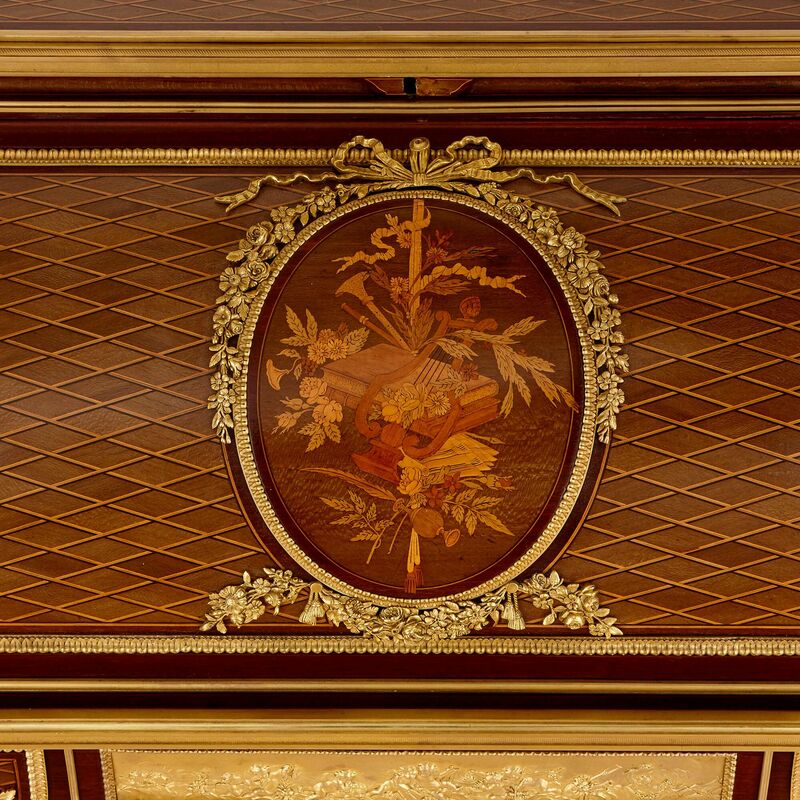 The roll-top features a central oval marquetry panel depicting a floral bouquet and musical instruments, framed with an exquisite ormolu mount of flowers and bows. 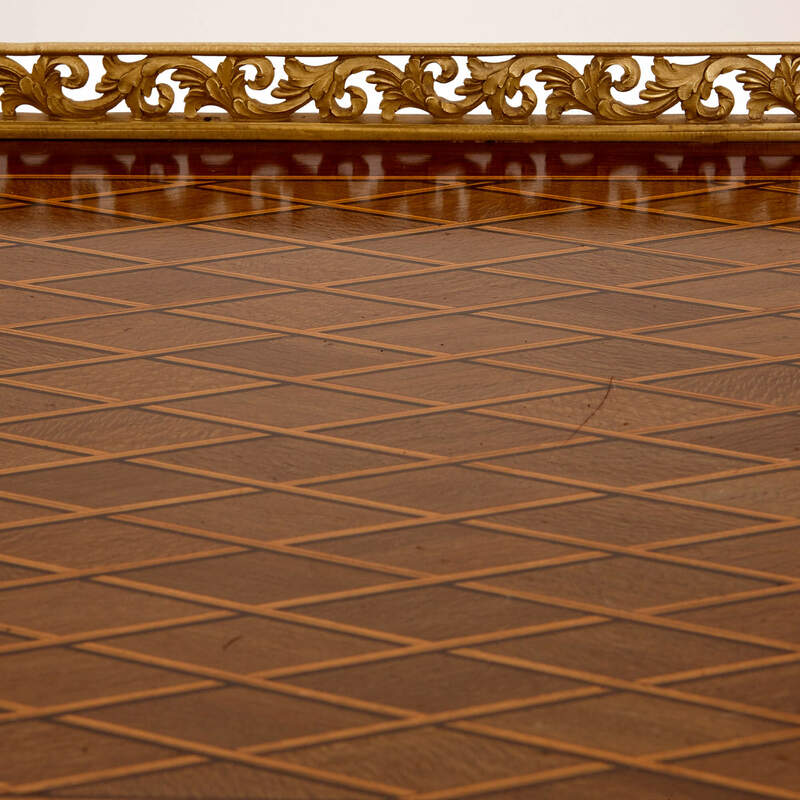 The sides of the desk are further decorated with diamond parquetry and bordered in beaded ormolu framing. The roll-top opens to reveal an outward-folding gilt-tooled leather writing surface beneath several mahogany drawers and open shelves to the rear. 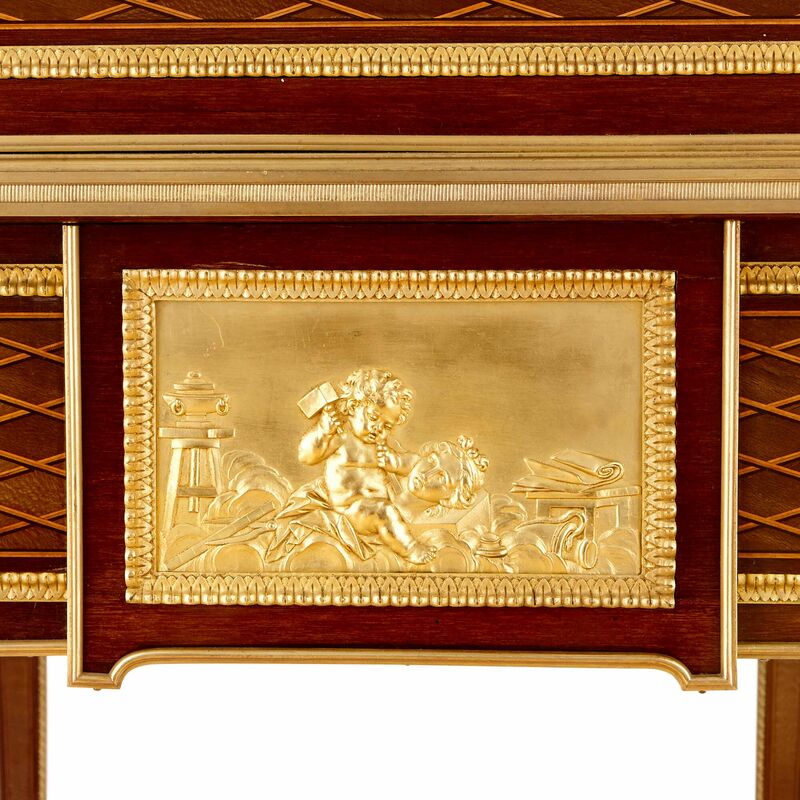 Below the writing surface, the desk is mounted with sumptuous ormolu frieze panels in relief, depicting Classical style scenes of putti engaged in play. 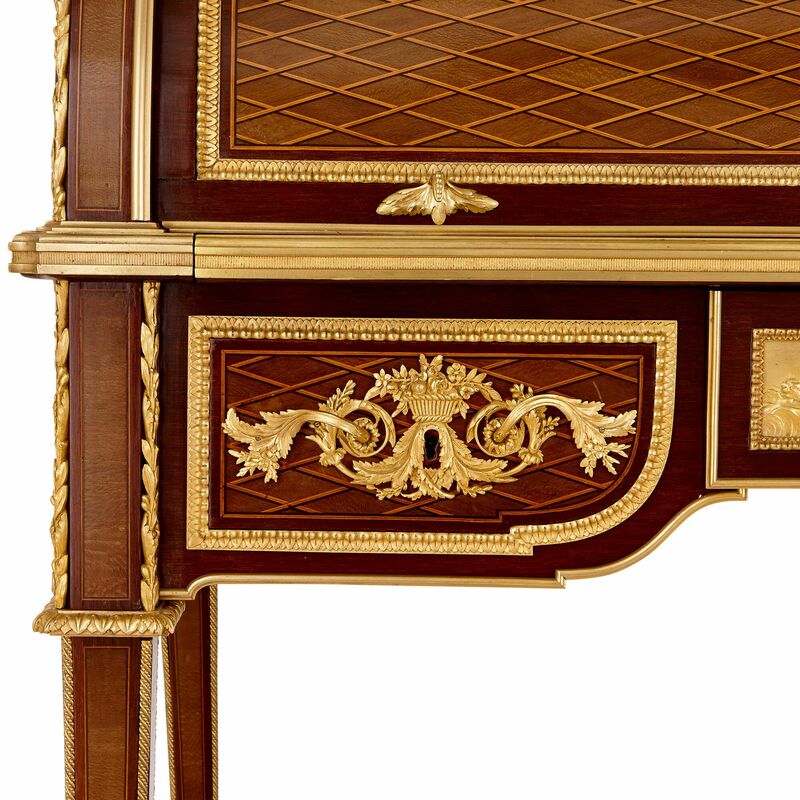 The desk is set upon four square-form tapered legs which finish in ormolu-mounted feet. The desk is signed 'F. Linke' to one of the ormolu mounts.